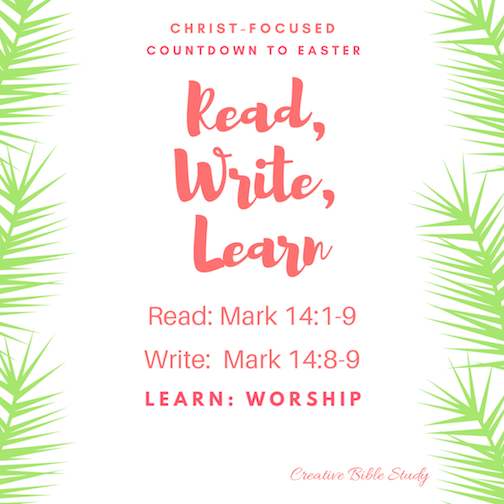 Creative Bible Tidbits, Issue #20 - Celebrating Easter 2018! Celebrating Easter - Christ is Risen! What a beautiful time of year! Easter is just around the corner and an ideal time to spread the Good News! Therefore, we have ten free Easter Bible Study Devotions waiting just for you! Each has Scripture text to Read, Write & Learn a lesson from the last week of Jesus's life here on earth along with family discussion questions, activities and ways for us to live each out daily in our lives. 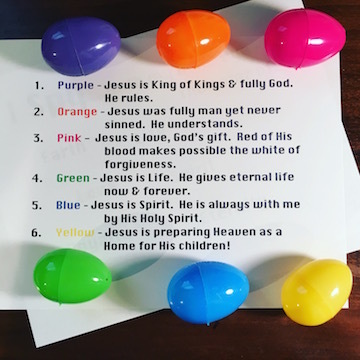 We're also including this link to our free Easter egg/color object lesson that uses the colors of Easter Eggs to teach a wonderful lesson on Salvation! This is a creative way to share the Gospel at your family or church Easter Egg Hunt. I've included a printable lesson as well as a video demo. I hope this will be something you are able to use to share the love of Jesus! These are just a couple of the many Easter resources we have waiting for you on our Christian Easter Page! I truly appreciate you being a part of our Creative Bible Study family, and we pray you, your family, and your church family have an amazing Christ-focused Easter celebration in His Word and His presence! Have a very Blessed Easter!